Ramen. 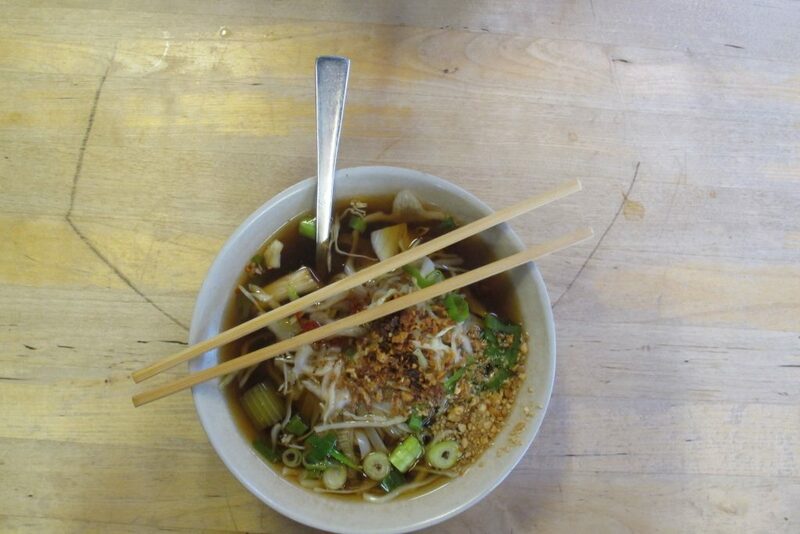 Upon arriving in Reykjavik, we dropped our things off and headed to Noodle Station. We were lucky enough to nab a few of the (limited) seats and help ourselves to some warm budget-friendly noodle soup with veggies. 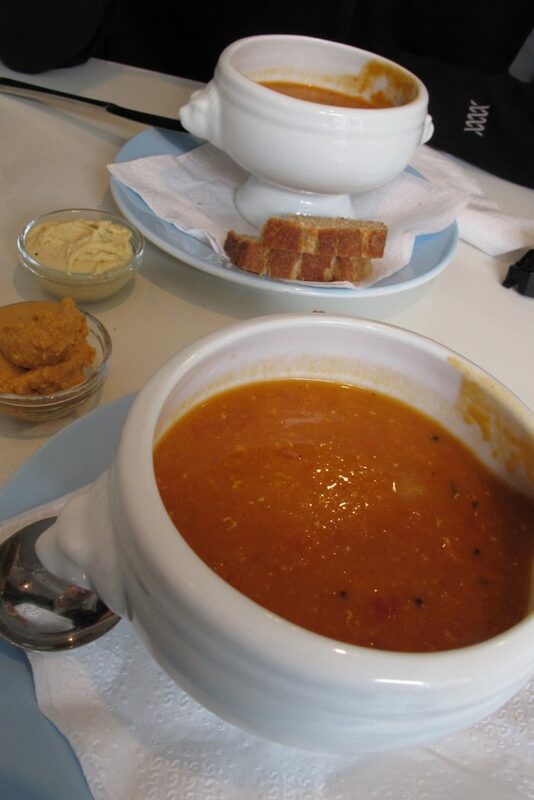 Delicious Vegetarian Cuisine. 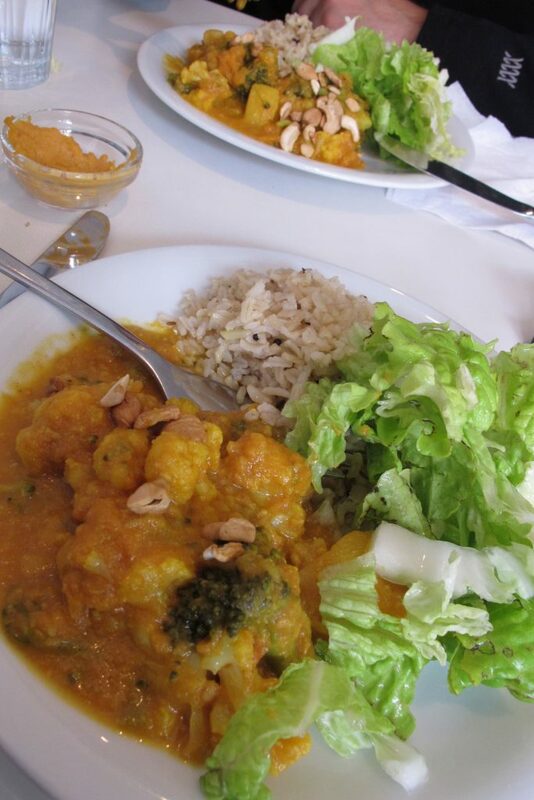 I had some trepidation about being a vegetarian in Iceland but we found some nourishing options along our trip. One such being at Gardurinn (aka ‘Ecstasy’s Heart-Garden’ for the flower child in all of us). Ice cream. 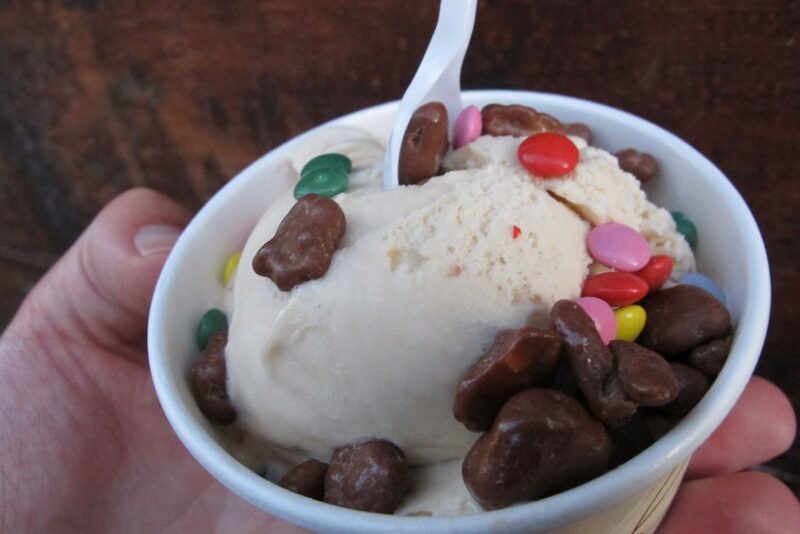 Icelanders love their frozen desserts regardless of weather. There are quite a few different parlours from which to choose from with different specialties in flavours, cones, and toppings. The closest meal to In-N-Out Burger I’ve ever had. Bullan has a veggie burger that rivals most anything else I have ever tried while traveling. 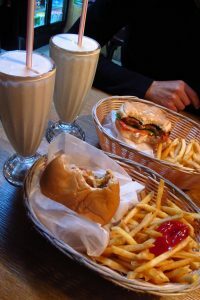 Paired with a classic milkshake and fries, this meal was delightful. I didn’t want it to end. Skyr. 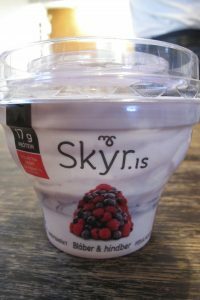 Could a visit to Iceland be complete without a mention of skyr? I have a love-hate relationship with dairy (I love it; my stomach often disagrees) It’s like yogurt but thicker in the consistency department. It has increased in popularity over the past few years as a result of better marketing and having more protein than your average yogurt. I loved the fact that they sold single servings of different flavours complete with foldable spoon device in the lid. Brilliant.